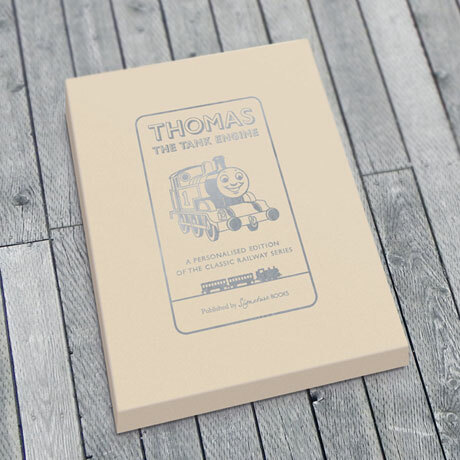 This beautiful custom book is a reproduction of the original first appearance of Thomas the Tank engine within Rev. 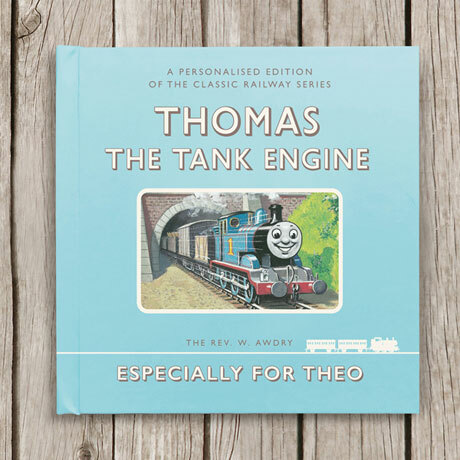 W. Awdry's classic railways series of stories. 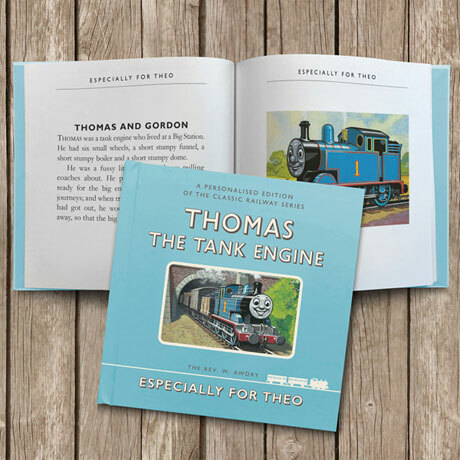 Your little one's name appears at the header of each page and also on the original style cover. 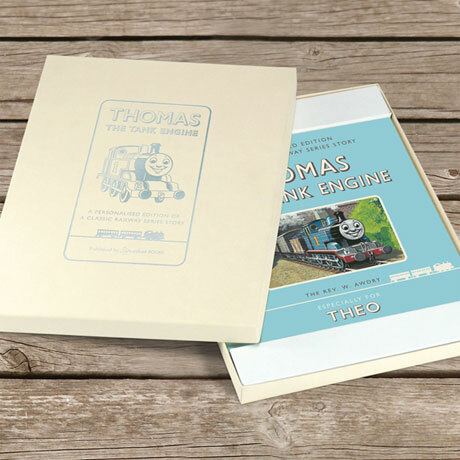 Each book is presented in a beautiful cream gift box which is foil embossed with Thomas the Tank Engine himself. 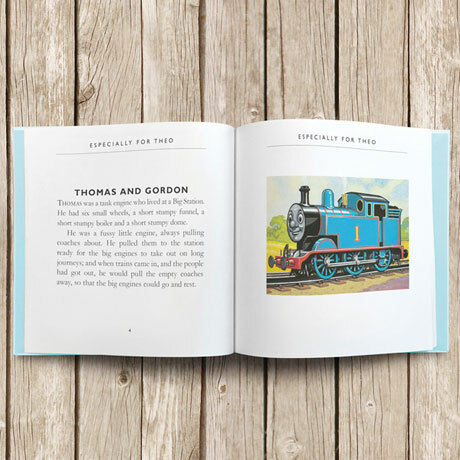 Specify child's name up to 12 characters. 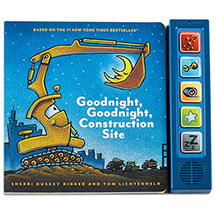 You may also add a message on the dedication page, 2 lines, 40 characters each. Allow 3 weeks for delivery. Item can only be shipped within the Continental US. 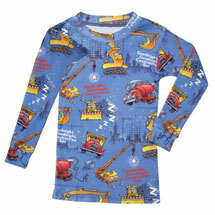 Please note: Delivery time for this item is 3-4 weeks.